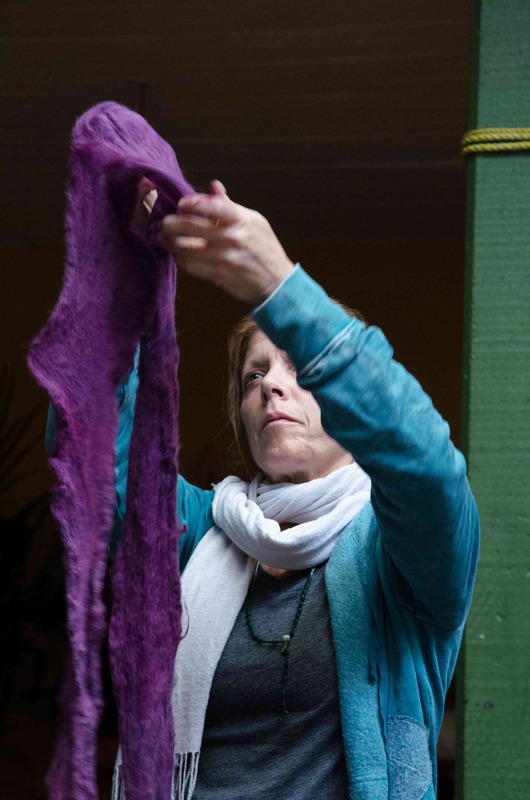 We’ve invited Jessica de Haas back to teach this popular workshop again in 2014. 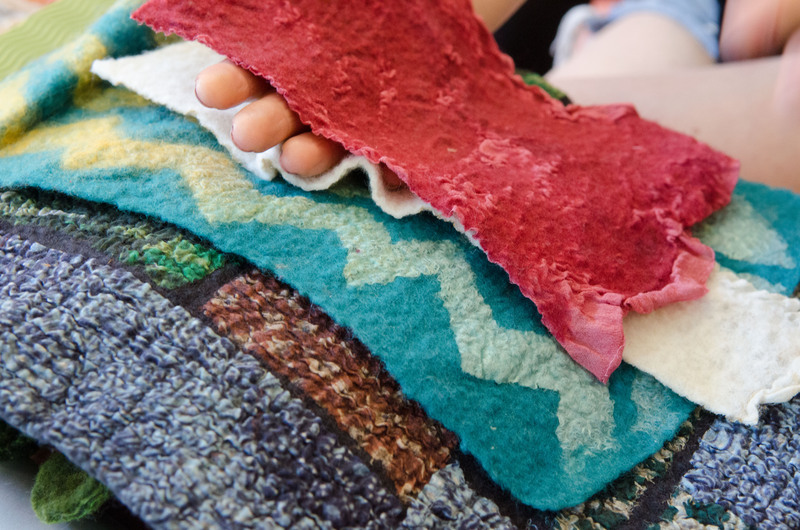 Here is your chance to escape winter, roll up your sleeves and make an extraordinary felted wool garment that will bring ooh’s and aah’s. 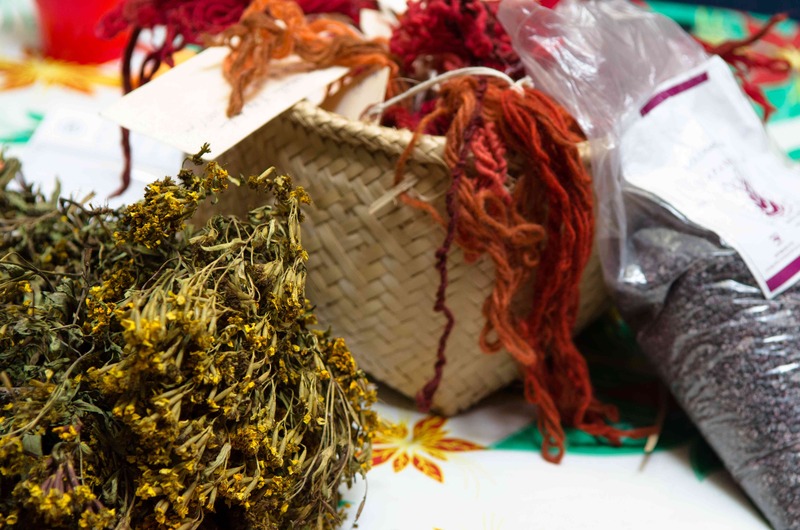 For seven nights and eight days, from January 30 to February 6, you will experience the textile culture of Oaxaca, and create naturally dyed felt fabric that you will make into wearable art. 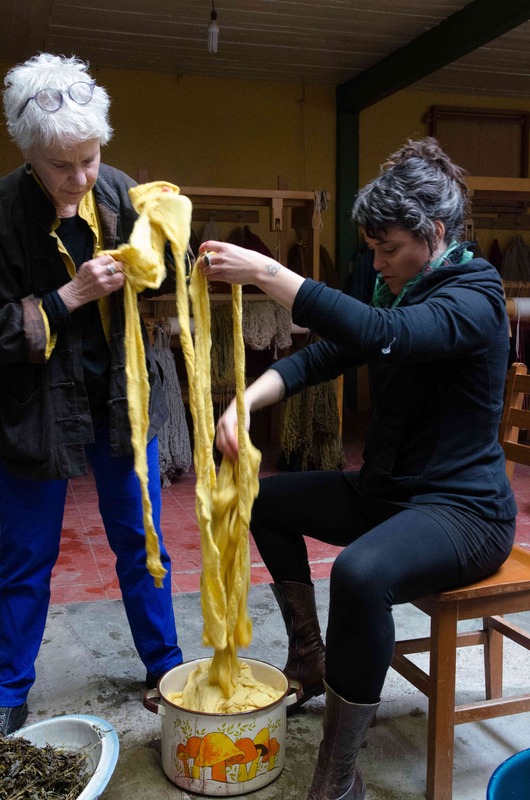 If you ever wanted to felt wool and use it to make a garment that is unique, comfortable and stylish, this is the place for you. If you want to build upon what you already know and add to your skill set, join us! We use easy-to-construct indigenous Mexican patterns to show off your design creativity. If you aren’t confident, don’t worry! The place itself is an inspiration. 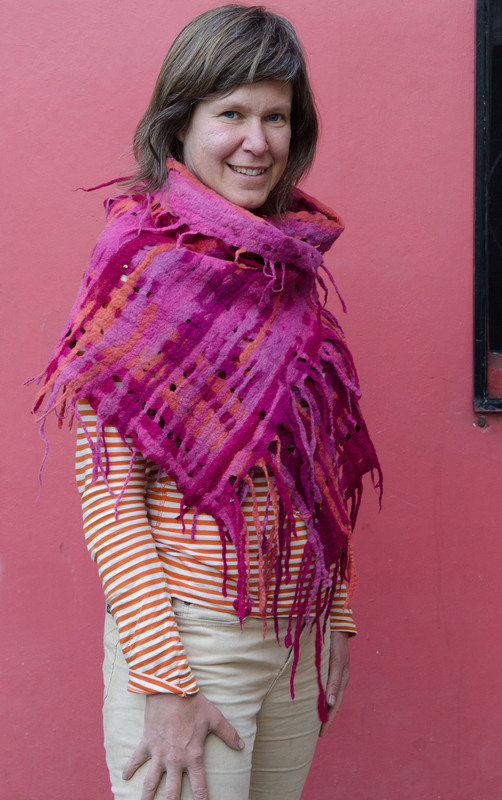 Our expert instructor is fiber artist-clothing designer Jessica de Haas, from Vancouver, B.C., Canada. 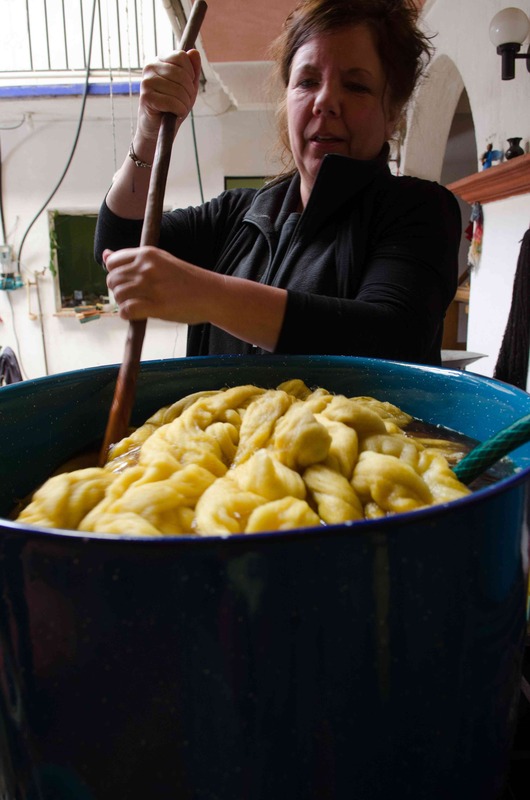 She is joined by Eric Chavez Santiago from Oaxaca, Mexico, who will demonstrate natural dyeing techniques. 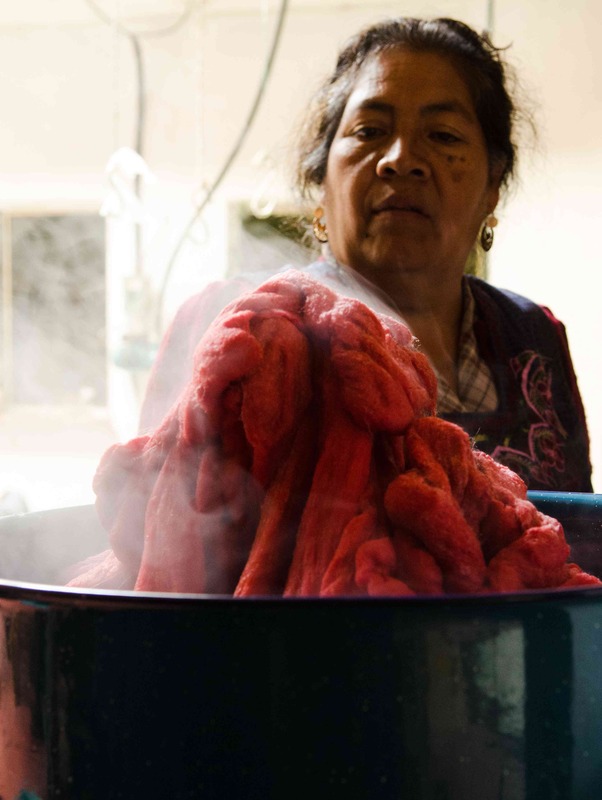 The wool roving we use is dyed by Eric who works with cochineal, indigo, wild marigold and other local plant sources. Jessica owns the clothing design company Funk-Shui in Vancouver, B.C. 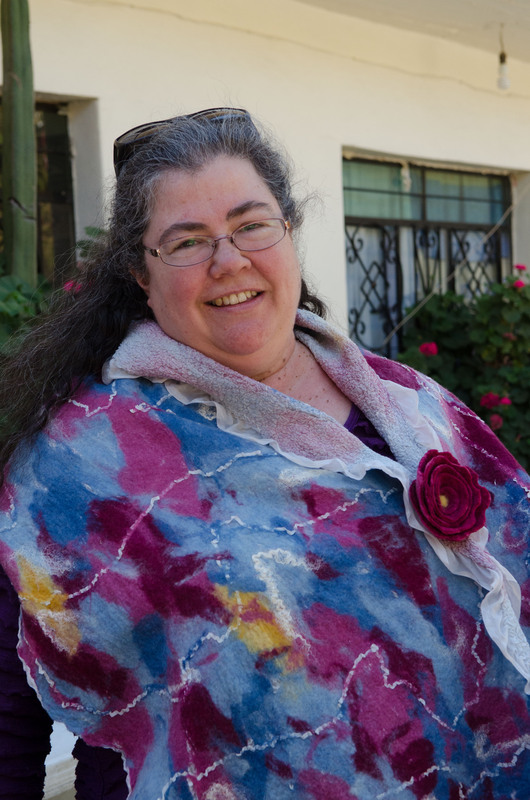 and is an award-winning, internationally known fiber artist, fashion designer and teacher. Her work is published in leading books and magazines. 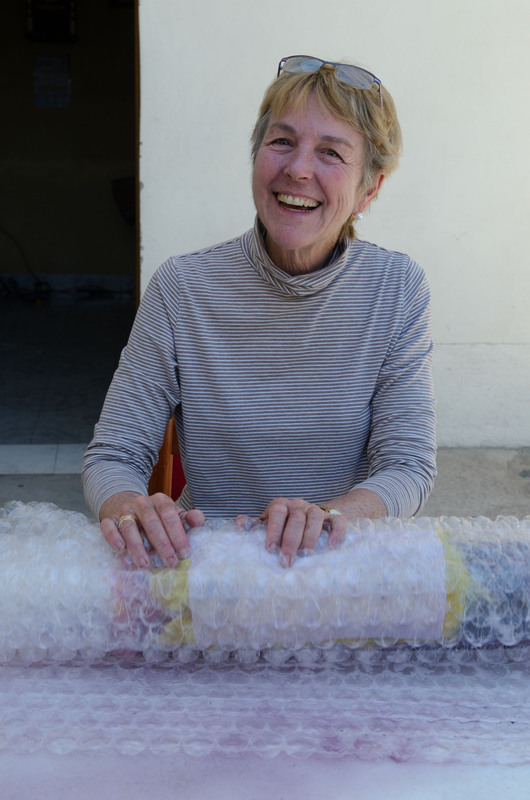 She recently completed an Arquetopia artist residency in Oaxaca, and taught and exhibited at the Museo Textil de Oaxaca. See her website for bio and designs. 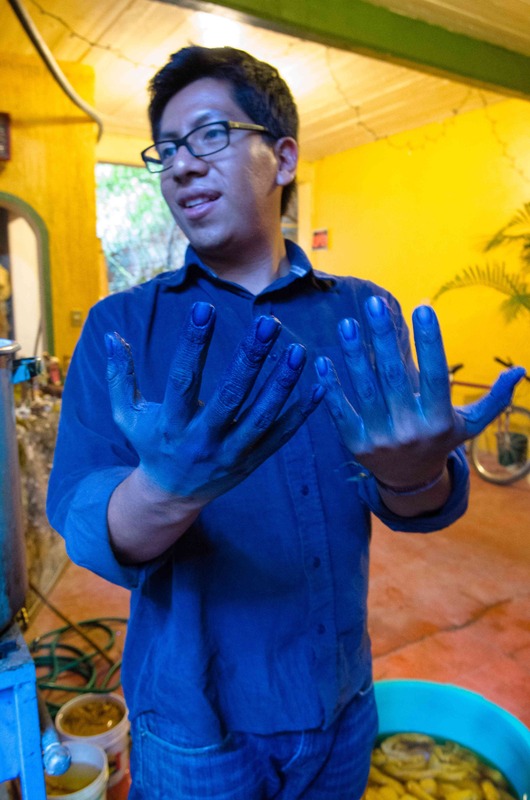 Eric Chavez Santiago, founding director of education at the Museo Textil de Oaxaca, is a weaver and natural dye expert. 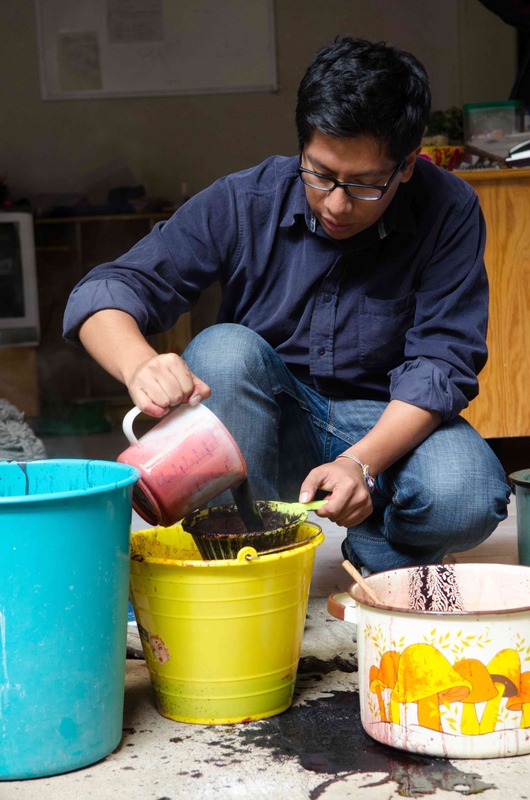 He has taught natural dyeing techniques in Oaxaca and at U.S. universities and museums since 2006. 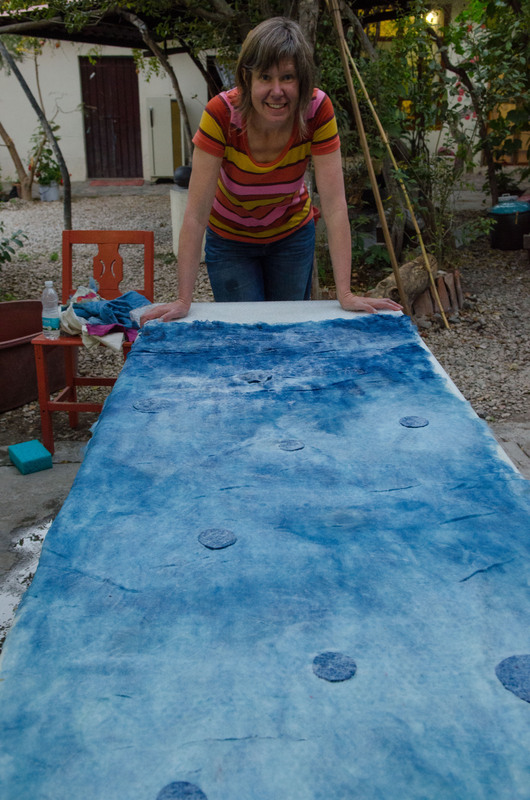 Working with Jessica in the courtyard of our B&B, we will first make pre-felts and samples. 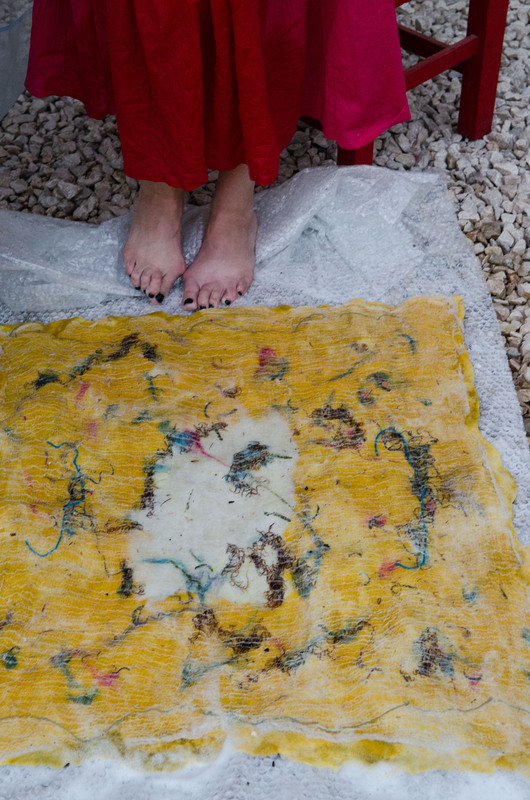 Then we will embark on creating lengths of felted fabric enough to make one garment. 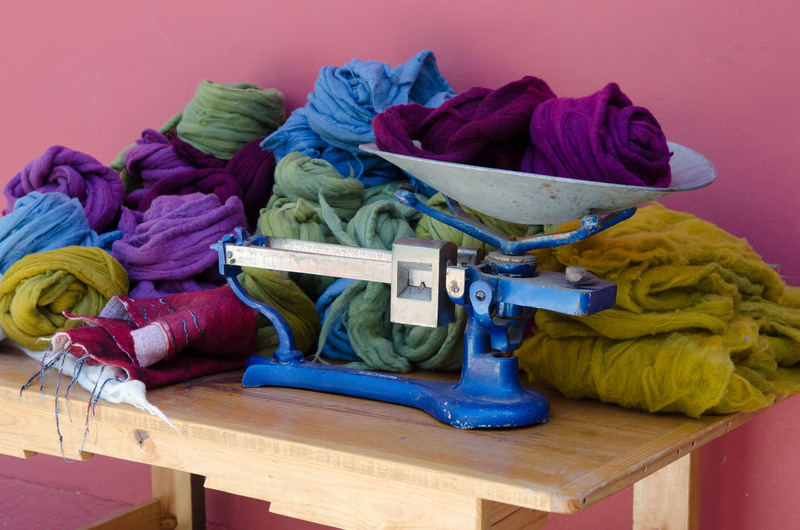 You can also choose to felt on silk or cheesecloth that results in lighter weight and beautifully draping fabric. 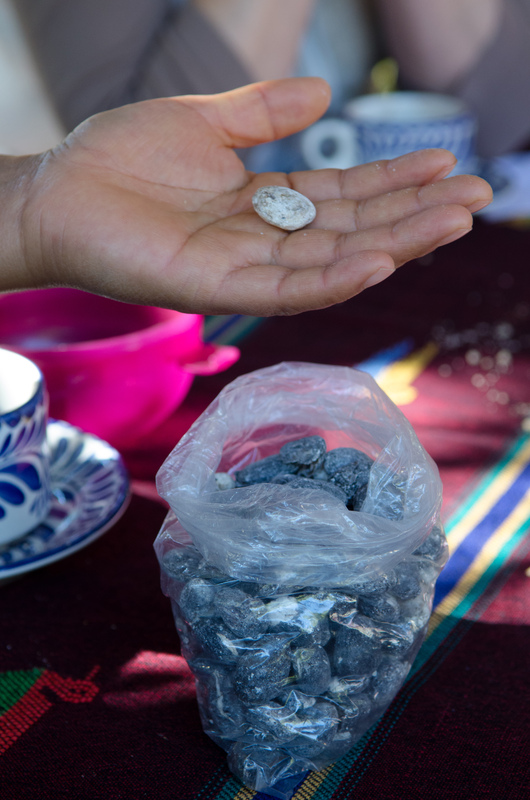 After your fabric is dry, you will have the option to cut and sew it into one of several indigenous Oaxaca styles: the huipil (tunic), the blusa (blouse), rebozo (shawl), boufanda (scarf) or quechequemitl (cape), or modify the basic pattern into a design of your own. We give you a pattern book to choose your design! This workshop is for all levels of experience! 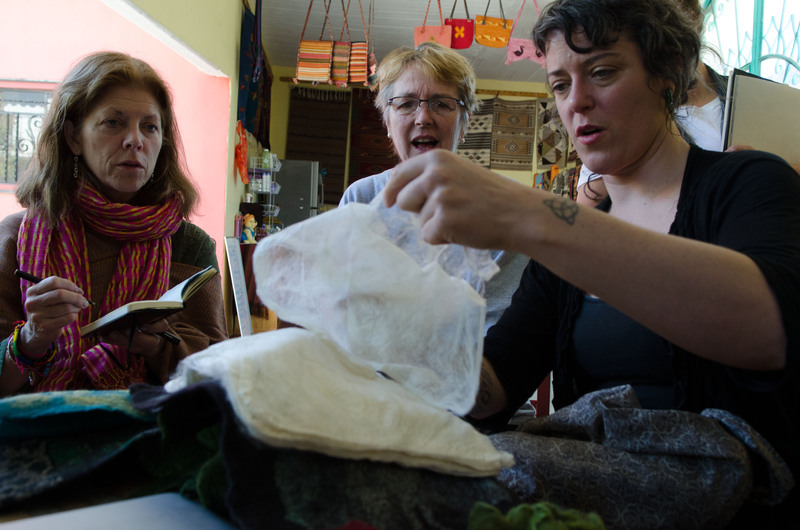 You do not have to be an artist or experienced felt-maker to attend. 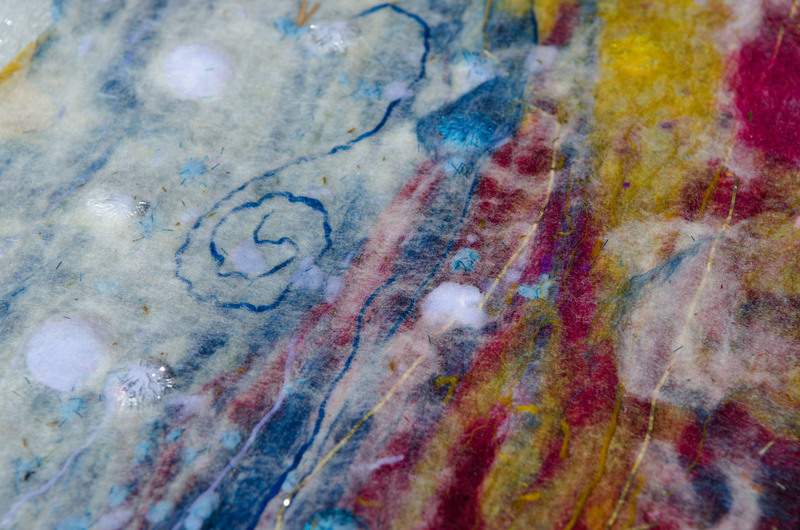 We welcome beginners who have never worked in hand felting and more advanced fiber artists. This is a perfect residency for university students, teachers and artists who may want to explore a different medium, too. We will provide you with patterns for the basic indigenous designs that can be adjusted to fit. If you want to contemporize them, we can help you tweak and make adjustments. 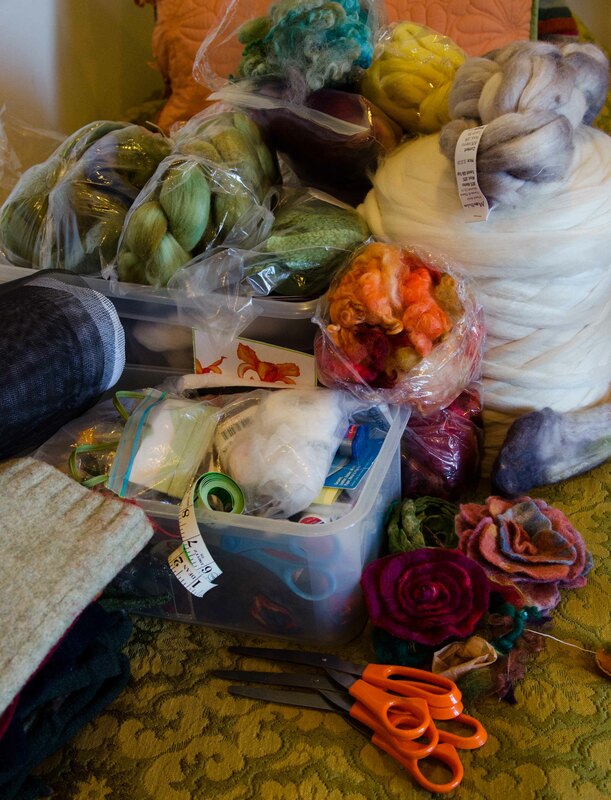 If you have sewing or pattern drafting experience and want to experiment on your own, you are welcome to work on an independent design project. Note: The materials listed are enough to make one garment. 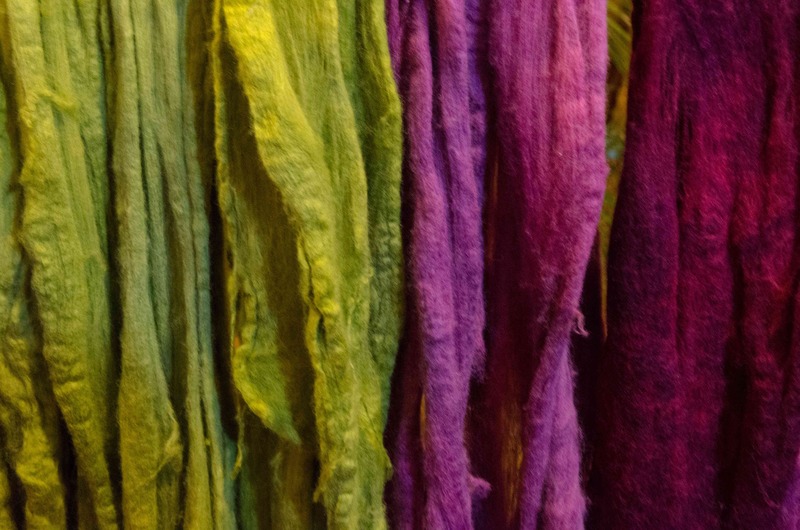 If you wish to prepare a more complex or elaborate garment, we will offer more dyed wool roving for purchase and we suggest you bring more cheesecloth. We will provide a source list upon registration. 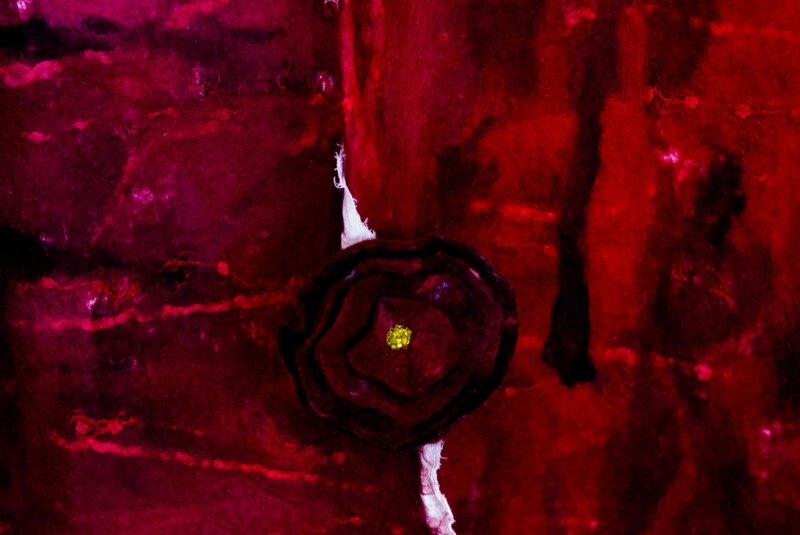 Daily Workshop Schedule: Arrive Thursday, January 30 and depart Thursday, February 6. 7 nights and 8 days with options to extend your visit. 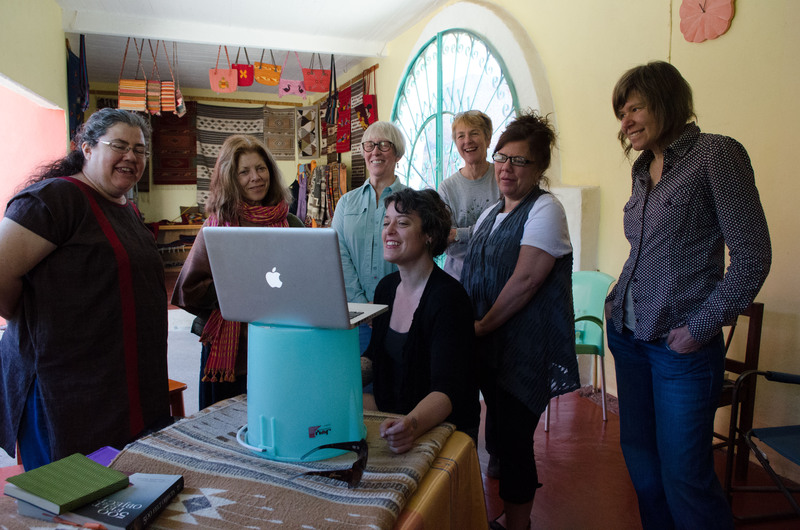 Workshop Fee: $1,595 basic cost per person includes shared room and bath, double occupancy. Single occupancy with private bath, add $300. 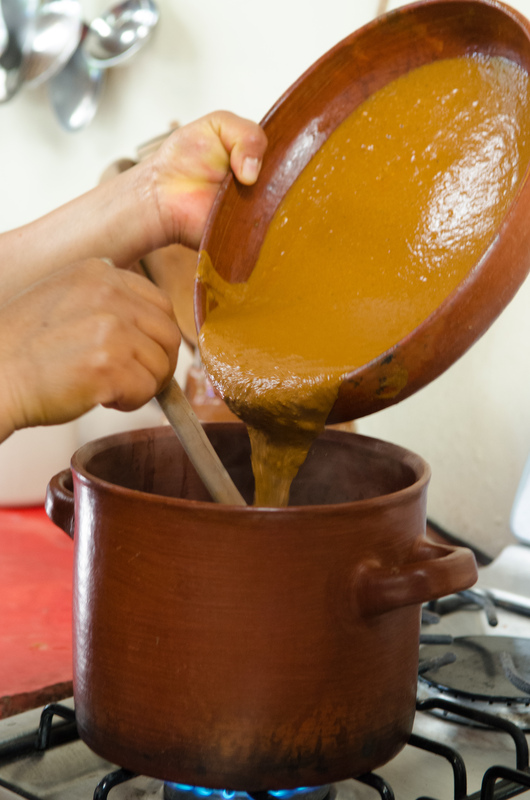 Option 1: Stay an extra day and take a Zapotec cooking class on Thursday, February 6, depart February 7. Includes one night lodging, breakfast, lunch, cooking class and recipes. $115 USD each. 2 person minimum. 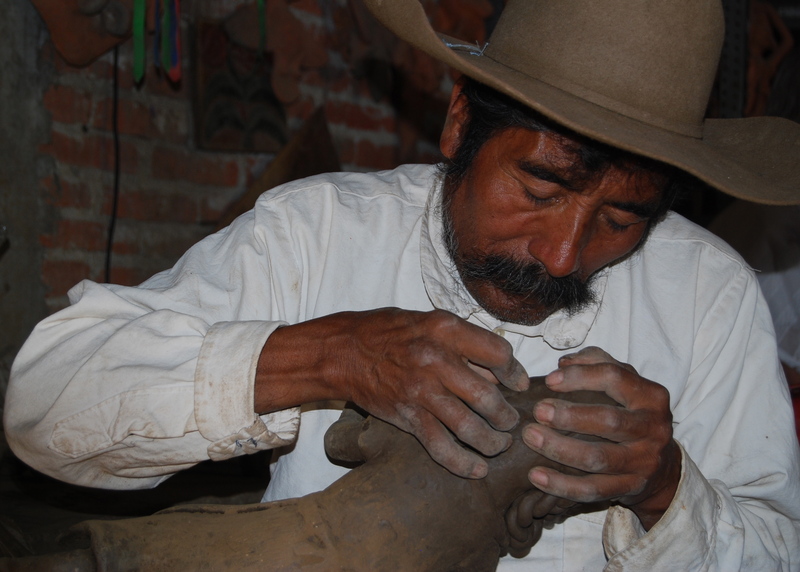 Option 2: Friday, February 7, Ocotlan Market Day with stops to visit famous wood carvers, embroiderers, and potters. Excursion includes transportation, 2 breakfasts, 1 lunch, 2 suppers, and 2 nights lodging on February 6 and 7, with a February 8 departure. (Note: does not include cooking class on February 6. If you choose this option, Thursday, February 6 is on your own.) $165 per person. 2 person minimum. 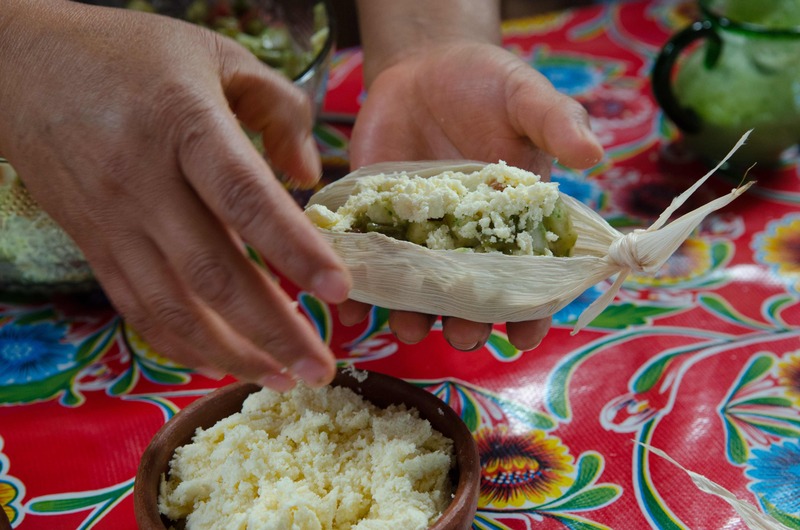 Option 3: Cooking Class and Ocotlan Market Day Combo. Combine both Option 1 and Option 2 for a special price of $250 per person. 2 person minimum. Arrive early or stay later! Add on nights in Teotitlan del Valle at $50 per night, or Oaxaca City at $125 per night. Let us know your preference and we make all the arrangements for you. About Lodging and Accommodations. To keep this trip affordable and accessible, we stay in a local posada/guest house. The food is all house made (including the tortillas), safe to eat and delicious. Vegetarian options are available. Your registration fee does NOT include airfare, taxes, admissions to museums and archeological sites, gratuities, liquor/alcoholic beverages, some meals and some transportation. Deposits, Reservations and Cancellations. A 50% deposit is required to guarantee your spot. The last payment for the balance due (including any supplemental costs) shall be paid by December 15, 2013. We only accept Payment with PayPal. We will be happy to send you an invoice. If cancellation is necessary, please notify us in writing by email. After December 15, 2012, no refunds are possible; however, we will make every possible effort to fill your reserved space. Your registration is transferable to a substitute. If you cancel before December 15, we will refund 50% of your deposit. We strongly recommend that you take out trip cancellation, baggage, emergency evacuation and medical insurance before you begin your trip, since unforeseen circumstances are possible. 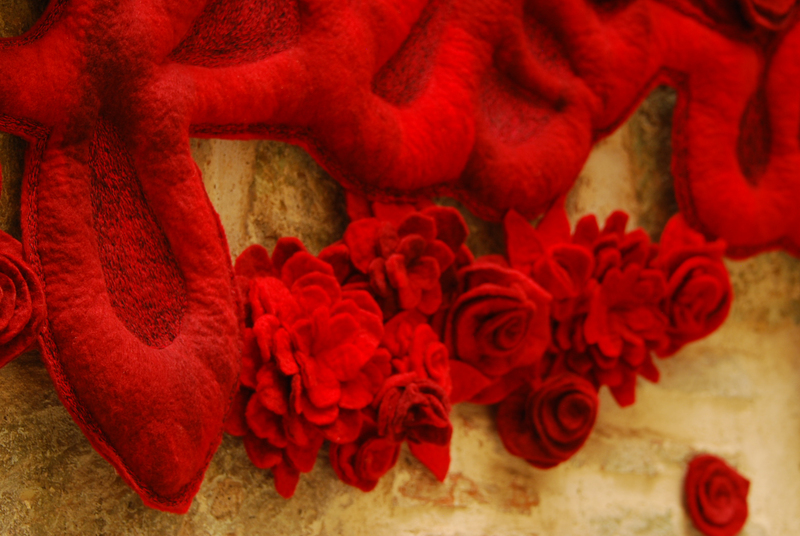 This entry was posted in Clothing Design and tagged art, fabric, felt, fiber, Mexico, Oaxaca, textiles, workshop. Bookmark the permalink. I’m not verry good in english do you think that I could easily follow this work shop ? France, if you understand basic English And can follow the visual directions it will be fine. Let me know if you want to register. Falo português ,gostaria de fazer o curso. I’d like to make registrations for me qnd my mother. What I must do?